​As always, we strive to bring you some of the most recent developments in diving and hyperbaric medicine and information that is of relevance to your field. ​To view the latest video presentations from the 2015 SAUHMA Conference held in Durban submit a request below and ask for the login details. To gain access to the video presentations you will need to be an active SAUHMA member. If you already have the login details simply click the "View Now" button below. As always, we strive to bring you some of the most recent developments in diving and hyperbaric medicine and information that is of relevance to your field. The highlight of the conference that was held in Midrand in February 2014 was the launching of our very own, world-first diving fitness registry. Thanks to the hard work of Dr Jack Meintjes, this is a massive step forward in the regulation of diving in our country. 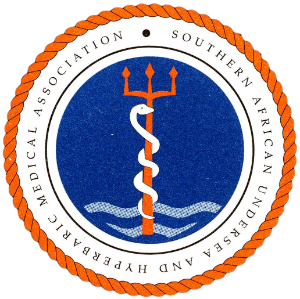 The Department of Labour will provide some feedback on the impact of the Diving Regulations (2009), since their implementation, on the practice of diving medicine in South Africa and we will also take a closer look at the duties of the level 2 Dive Medical Practitioner. There was a special welcome to our international guest lecturer, Dr Jacek Kot, from Poland. He spoke to us about diving and HBO qualifications in Europe, with a glimpse toward updating the European code of good practice for HBOT, and discussed some controversies on the technical and procedural aspects of HBO. We reviewed the context of diving medical evaluations and the practical implications. An update on asthma in diving, fresh from the Tri-continental scientific meeting held in Reunion, will be complemented with some surprising research from the SA Navy. Cardiovascular fitness evaluation was discussed together with the epidemiological interpretation of test results and their relevance in current practice. On the hyperbaric side we also covered updates on hypoxia and ischemia, sensori-neural hearing loss and discussed the possible need for regulating HBO therapy in SA. Another not-to-be-missed talk was the result of years of hard work by Mr Francois Burman leading to his Master's thesis on the most common safety concerns in hyperbaric facilities.